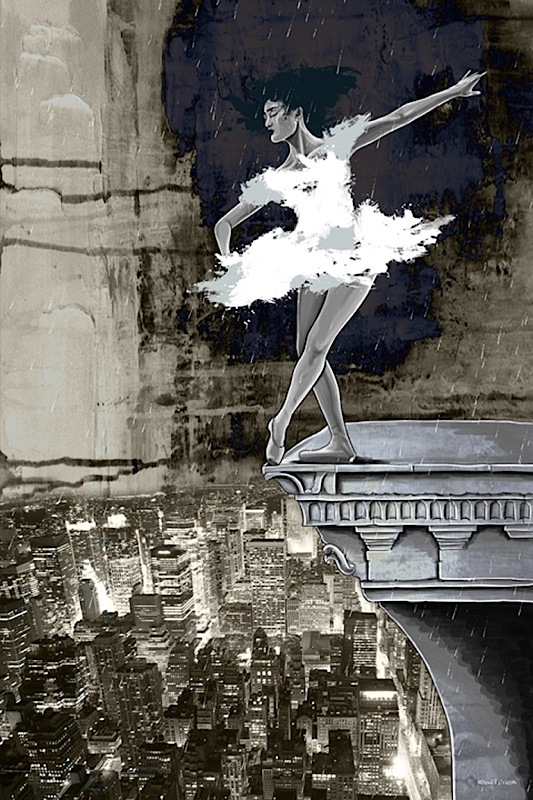 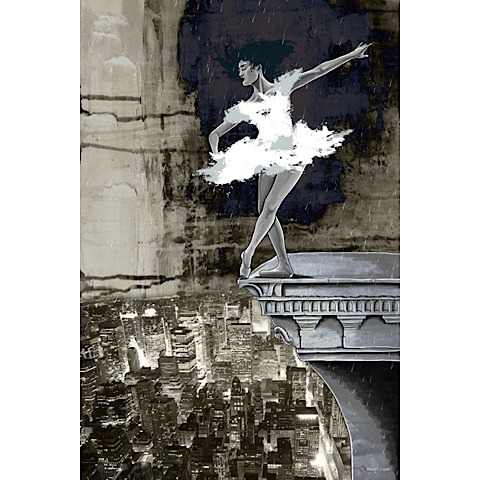 Big City of Dreams - 36" x 48"
Other Size Options 16" x 20" 18" x 24" 20" x 30" 24" x 36" 40" x 60"
Big City of Dreams blends hues of black, white, gray and taupe to tell the story of the chase - fighting through life's storms for your dream. 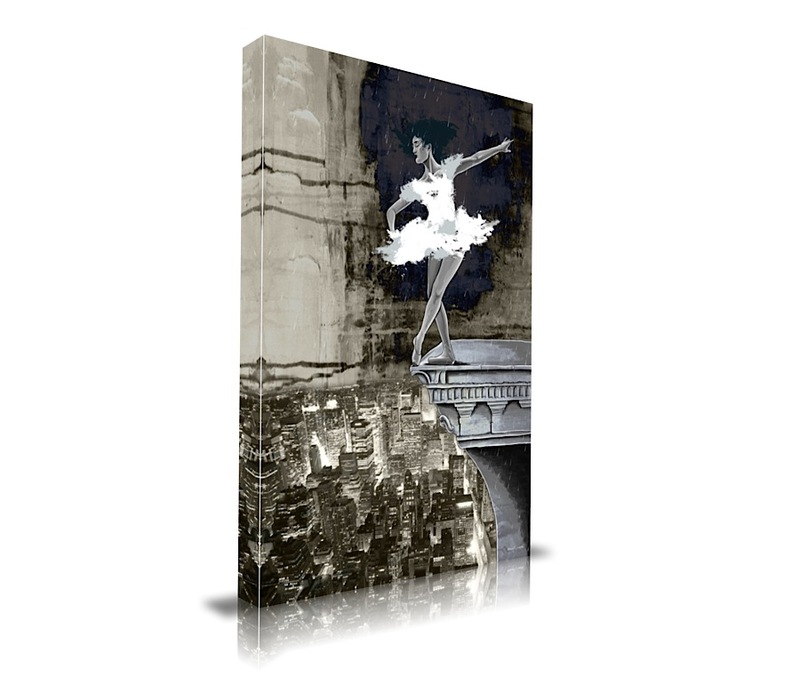 Manufactured in the United States, Big City of Dreams is made with 100% archival museum quality heavyweight canvas, which enables the canvas print to last more than 150 years without fading. 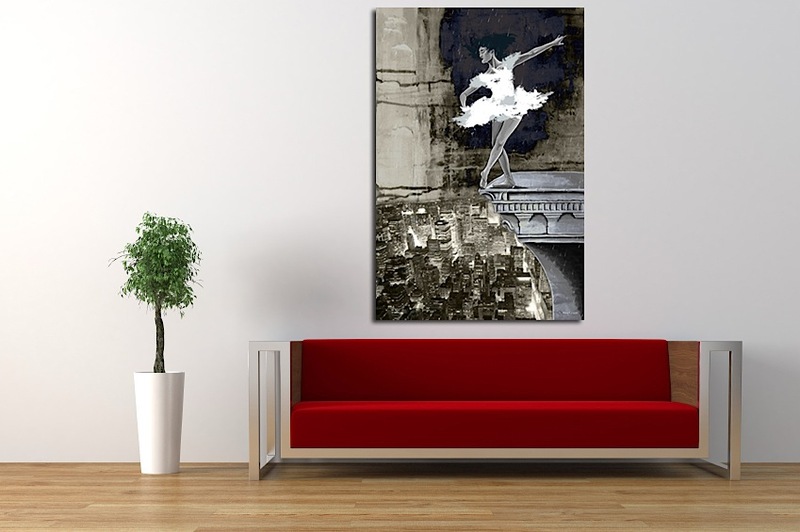 Handwrapped around a solid pine frame, Big City of Dreams ships with mounting wire hardware. 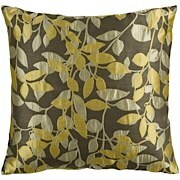 Please note: detail images depict 40" x 60" size over a sofa, and 36" x 48" size over a chair.